Wholesalers and Distributors of quality hardwood and softwood lumber. Producing superior quality Northern Appalachian Hardwoods direct from the heart of the resource! Mann & Parker offers full Millwork facilities for your surfacing, straight-line-ripping, moulding and profile needs. 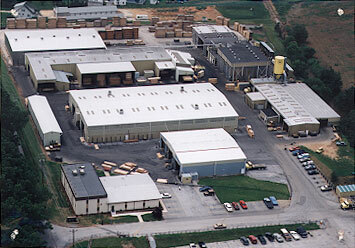 Our facility provides delivery via truck, container, or rail car. Whether you are around the corner or across the nation, we've got your hardwood needs covered! Please click on the above tabs to find out more about The Mann & Parker Lumber Company!